You'll be the talk well into the winter months with these 7 amazing summertime seafood dishes. They taste like a master chef did them for a seafood feast at home. These dishes are so easy, almost anyone can prepare them! 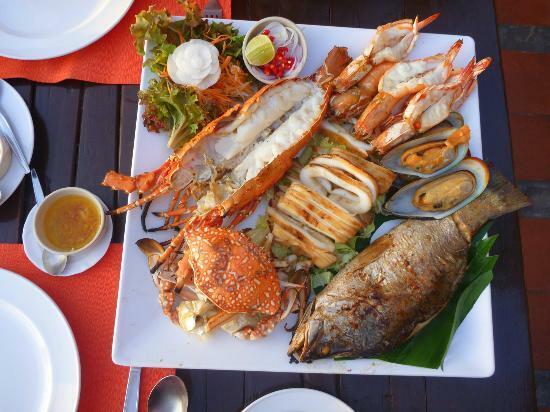 Need ideas for spectacular seafood dishes for the summer? There’s nothing better than oysters on the grill with plenty of seasoning, parmesan cheese and lots of drinks to wash it down with. Summer has arrived and what does that mean? 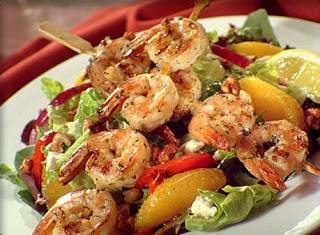 For some, it may mean a change of wardrobe or it may mean longer beach trips, OR it could mean trying out new summer seafood party appetizers and recipes. So, with that said, to make the summer menu dinner ideas easier for you, we’ve listed 7 spectacular seafood dishes that will make this summer the best summer yet! During the summer months, you really don’t want heavy meals weighing you down so we suggest avoiding calorie-rich foods which may compromise your bikini-bod, right? So, that’s why we want something, quick, easy and relatively low in calories! All you need for your lobster roll is a lobster tail, fresh basil, one tablespoon of Dijon mustard, an onion, extra-virgin olive oil, lemon juice, turkey bacon and hot dog buns. The recipe is even easier, too! Steam your lobster tail, and cook the turkey bacon and once they are cooked, get the meats, and mix them in with the other ingredients. Next, scoop the mixture into your hot dog bun and it’s ready to eat! Since the weather is beautiful and there’s not a cloud in the sky, you don’t want to spend a lot of time in the kitchen or a lot of money on food. If you fancy something relatively cheap and cheerful- try crab cakes! You need crab meat, homemade breadcrumbs, Dijon mustard, an egg, chives, lemon zest, a tiny bit of mayonnaise and salt and pepper. Then, you mix all the ingredients together in a big bowl, shape them into your ideal crab cake size, and simply place onto baking parchment and bake in the oven for 10 minutes. Once they’re are ready, take them out and serve them up! Maybe you can make some homemade dipping sauce to make your crab cakes even more sublime. To show off your new grill, you must have a backyard family barbecue. One of the best seafood recipes for a crowd comes on a stick. They are so simple to make a child could do it. These seafood dishes for the summer are so simple and only requires five ingredients! You need prawns (of course! ), zucchini- which you make into fine ribbons with a peeler, olive oil, chili pepper flakes, fresh basil and a little of salt. Marinate the shrimp and zucchini in the olive oil, with basil, salt, and the chili flakes. Once you’ve done that, skewer them and place onto the barbecue grill to cook. Cook till done and serve to everyone to enjoy. There’s a famous saying in some Asian countries, that when it’s hot, you need to eat something hotter and spicier, which will make you hotter and that way you won’t notice the heat from the sun. Kinda neat, right? Actually, this is one of the best seafood recipes in the world. This time, you’ll need prawns, rice (to serve the curry with), mustard oil, green chilies, ginger paste, cumin paste, onions, salt, sugar, coconut milk, ghee, and spices like cumin powder, chili powder, turmeric powder and garam masala. It may seem like a lot, but the end result is simply amazing! For this recipe, you will need to blanch your prawns in turmeric water. Then, heat your oil and add sugar, onions and cumin paste. After that, add the rest of the spices and let it cook for a while. Once sautéed, add your prawns and green chili. Stir it, and let it cook. After that, add your coconut milk, let it cook, sprinkle in salt and some ghee, stir it again, and it will be ready to serve. This dish will be spicy, so if you don’t want the dish too spicy, you can compromise with the green chilies and reduce the chili powder. This dish is simply delectable! I don’t know about you, but when it’s summer, I ALWAYS want tacos! So, why not make your own fish tacos this summer? This spectacular seafood dishes for the summer recipe calls for homemade guacamole, a well-seasoned salad, tortilla for your taco and haddock that can be seasoned in any way you like. Because you’ll be serving your fish with guacamole and a seasoned salad, you could simply season your haddock with salt and pepper, because there will be other flavors to compensate. Once everything is cooked and prepared, you just place your fish inside the taco, you add lots of salad and lots of guacamole and it’s done! They can be served hot or cold, depending on your preference, so, enjoy this idea. Fish and chips are food commonly eaten by the beach, so they evoke a summery feeling, but fish and chips are so overdone, so, why not try fried calamari instead? Start by heating the oil, and prepare a bowl with flour, pepper, paprika, and salt. Dip your squid into the flour bowl and ensure that it is coated evenly before dipping it into beaten egg and then frying it so it becomes golden. Once your calamari is made, serve it with chips for an amazing summery meal, fit for a beach! Paella is one of the most amazing seafood dishes for the summer I know. 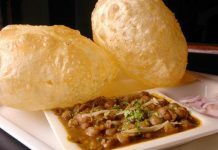 It combines all the best foods and serves it as one big astonishing dish that is fit for royalty. 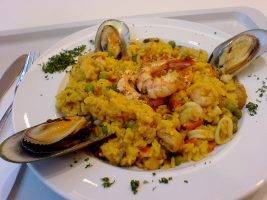 What you will be needing for the ultimate paella is fried chicken, chorizo sausages, onions, garlic, parsley, a can of chopped tomatoes, Spanish rice, saffron, littleneck clams, prawns, shrimp, lobster tails, peas, peppers, olive oil, salt, and pepper. You may want to use a paella pan for this dish. You start by heating the oil and frying the chorizo, onions, garlic, and chicken. Add the salt and pepper, too, for flavor, then allow the ingredients to cook. Add the parsley and your tomatoes and allow the mixture to caramelize. Next, stir in the rice and ensure that the rice grains are coated well. Pour water to let the rice steam. Go on to add the rest of the ingredients, and stir them in. Let simmer, and once the rice and seafood are thoroughly cooked, you can serve it up for your Paella Deluxe. Do you have any seafood dinner party ideas or suggestions? If so, let us know! We’d love to hear about your recipes! Try these seafood dishes for the summer recipes for a summer full of fun, food, and flavors! 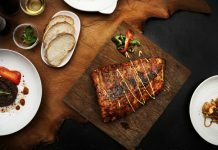 Previous article9 Enticing Dishes and the Best Food Cities in the World!